. يقدم Chelsea Motor Inn خدمات لا غبار عليها وكل أشكال اللياقة وحسن الضيافة اللازمة لإسعاد ضيوفه. يمكن للنزلاء الاستمتاع بالميزات التالية: واي فاي مجاني في جميع الغرف, مرافق مخصصة لذوي الاحتياجات الخاصة, تسجيل وصول/خروج سريع, تخزين الأمتعة, واي فاي في المناطق العامة أثناء إقامتهم في هذا المكان الرائع. في الفندق غرف نوم يتجاوز عددها 29، كلها مجهزة بعناية وجمال وبعضها مزود بـ تلفزيون بشاشة مسطحة, اتصال لاسلكي بالإنترنت, اتصال لاسلكي بشبكة الإنترنت (مجاني), حوض الاسترخاء, غرف لغير المدخنين. كما أن مجموعة الخدمات الواسعة الموجودة في الفندق لضمان راحتك تترك لك الكثير من الخيارات لقضاء وقتك أثناء فترة إقامتك. إن Chelsea Motor Inn هو خيار ذكي بالنسبة للمسافرين إلى كوفس هاربر، بما يوفره من إقامة هادئة ومرحة. The Chelsea Motor Inn is a budget Motel, so if you keep this in mind it is a satisfactory place to stay. We only stayed overnight as we have done before and it is clean and convenient. If you are looking for 5 star with all the extras, do not stay here. 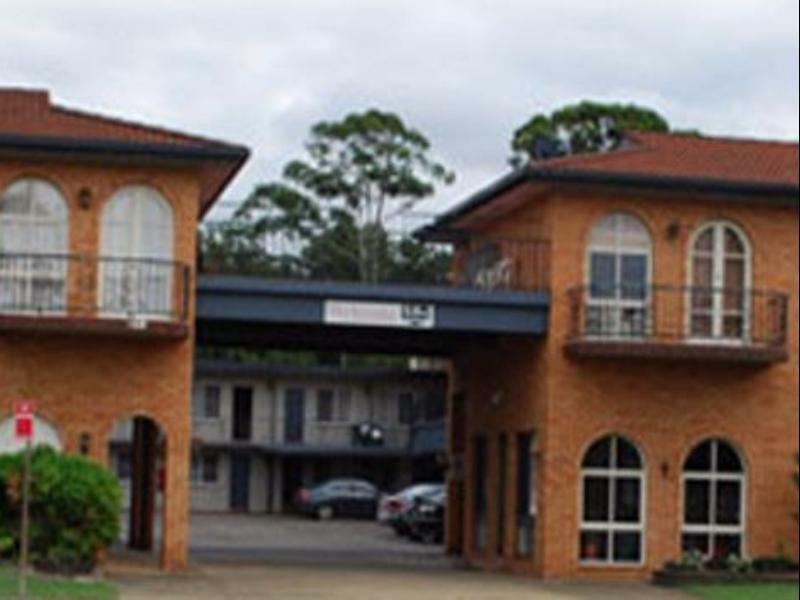 However, if you are looking for a clean place to stay for a short time that is reasonably priced and is in the middle of Coffs (the Services Club is over the road and a couple of pubs 100 meters away) I think this motel is fine. The reception staff have always been very friendly and the cooked breakfast is very good. We travel about 4 times per year and have done so for over 10 years. This is by far the worst motel ever. They should not be in business. The shower door was broken ( they’ve know about it for a while and have not fixed it; very dangerous ) no hairdryer, no milk, no daily housekeeping or replenishments, beds are awful, no pool ( they cemented over it ) They shoved four of us in a small room with one king bed for $380 for 2 nights because OzTag was on. The houskeepers were friendly and thorough, but owner/manager needs a wake up call. thank you very much for your review. we will get onto these issues asap, very sorry you had and unpleasant experience. alto as for the number of people you did book online a king bed room with spa it should have specified that is was one king bed only and only suited to 2 people. booking direct will save you a lot of $ as well. If the hotel could just put a blind across the skylight in the bedroom it would perfect. Was super bright a 6am! thank you very much for your review :) we look forward to your next visit. 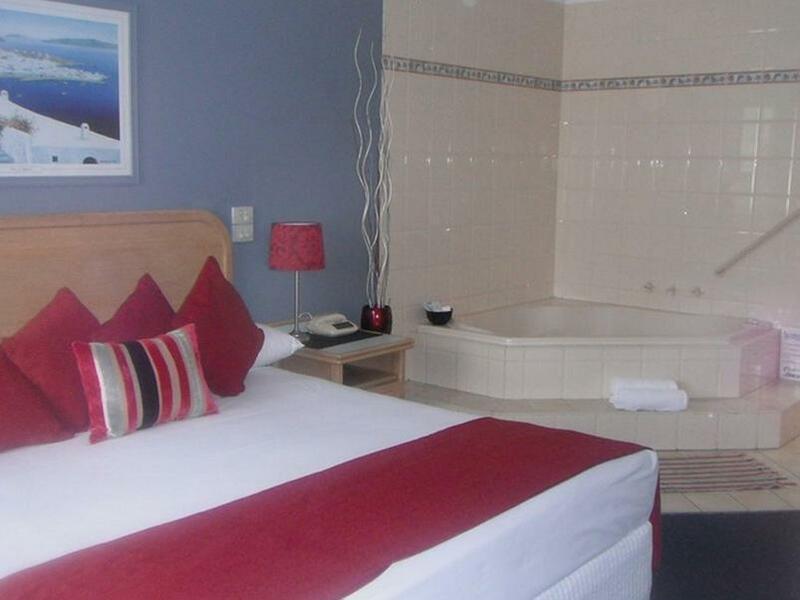 Accommodation is spacious and has all the basic amenities required. 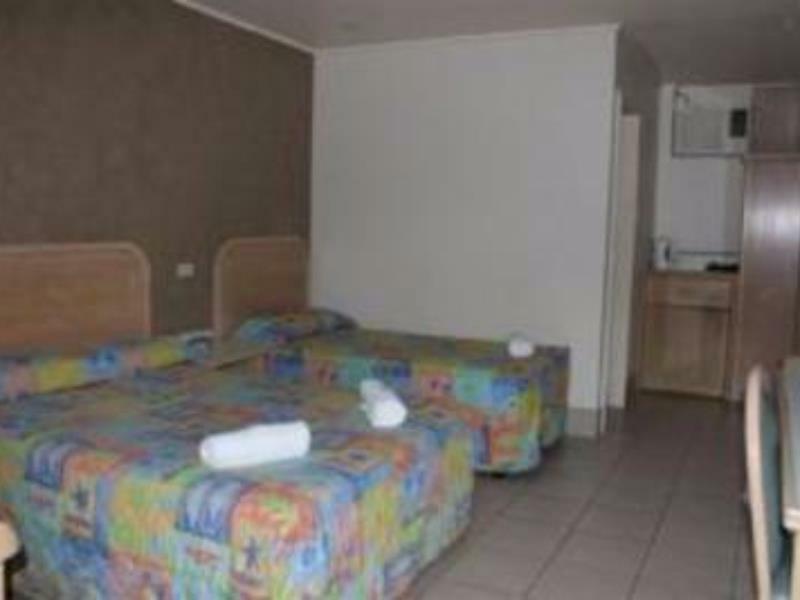 Air cond, hot shower, fridge, hair dryer as well as onsite parking. It’s also conveniently located from cafes, restaurants and the shopping centre which is just about 5 minutes walk away. Highly recommended. thank you very much for your wonderful review :) we look forward to your next visit. Carpet was full of stains and visibly needs of replacing.MOULD and MILDEW on ALL cupboards and cabinets.Air condition is useless,can’t even Cool a small room.A very Bad experience all up. thank you very much for your review we are very sorry u had an unpleasant experience. Only stayed at this motel one night passing through Coffs but found it to be quite an acceptable place given the budget price. We were in a room at the back so had no road noise at all and we thought the cooked breakfast was very good. 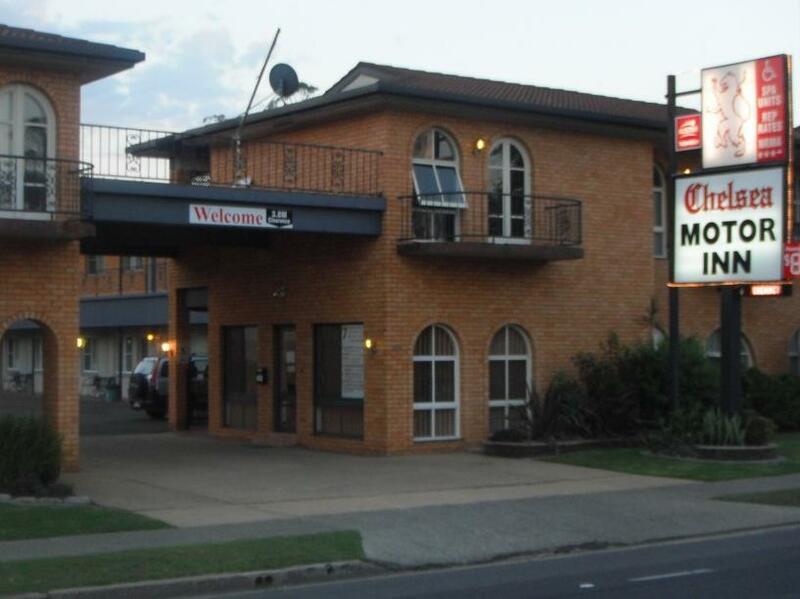 Some restaurants 5 - 10 min walk away and the motel is across the road from the RSL and 100 metres from 2 pubs so dinner options are close by. I would stay here again next time I am going through Coffs. thank you very much for your wonderful review :) we look forward to your next visit. give us a call next time and we can keep the price the same if not better it direct. Noise from traffic. Basic room. No sockets or bedside lamps. Clean. Good a/c. Good shower. Budget accomodation. 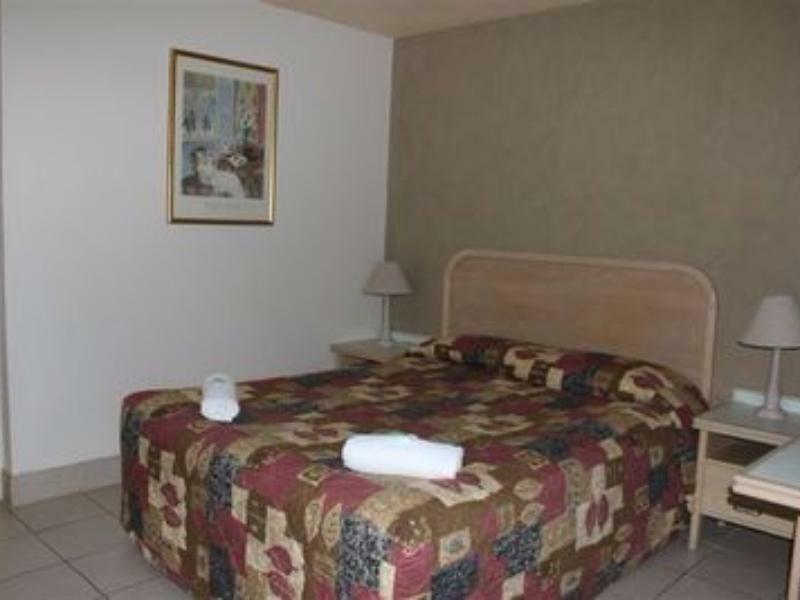 Chelsea Motor Inn staff were friendly and the room was clean with clean renovated bathroom. I recommend it to the friends. thank you very much for your wonderful review, we look forward to your next visit to Coffs Harbour. We loved the stay at Chelsea Motor Inn, the receptionist was very polite and very helpful. The room was great, very clean & well furnished, wifi was working well. The access to the motor in was very easy just off the main road. There is a guest laundry room you can use for a small fee with a big washer and dryer. Recommended. This motel is on the main highway but traffic noise is not a problem at all. Easy to find with good parking. Hi Catherine, Thank you for taking the time to review us. We are pleased you enjoyed your stay with us. We look forward to seeing you again. Kind regards, Clayton Chelsea Motor Inn. Very friendly, accommodating staff. 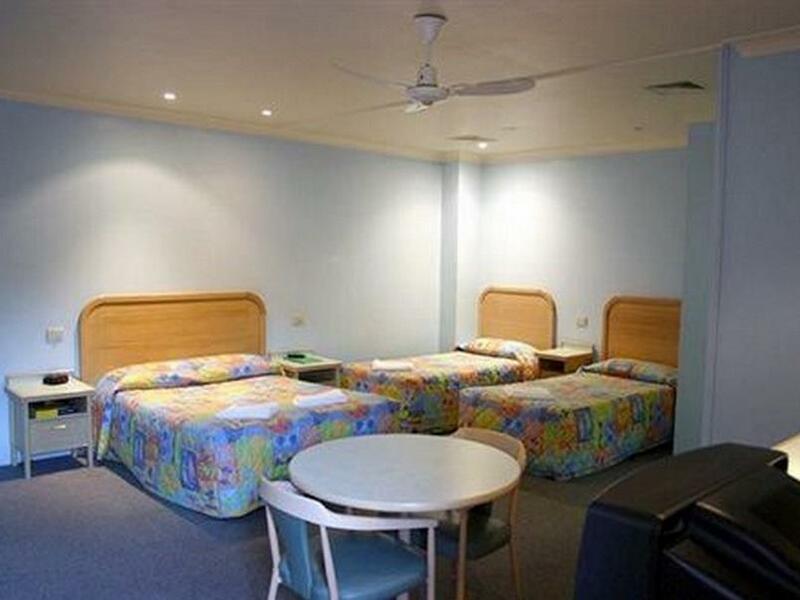 Very handy location walking distance to most restaurants, short drive to the beach. Ample parking. Not a flash place but big rooms and great value for money. Just missed having a pool to splash around in the evening. Hi Sangita, Thank you for taking the time to review us. your feedback helps us to improve our customers experience. we thank you for choosing to stay with us and we hope to see you again soon. Kind regards, Clayton, Chelsea Motor Inn. We stayed overnight on our return trip to brisbane. Convenient location and the family room was adequate for us. Had all Essentials including toaster, fridge and microwave and important ensuite. Good location, friendly staff, had some issues with crawling insects in the room at night ( had to use insect spray, which was there in the room before we went in), informed staff , must have taken action (I guess) but issue still persisted (bit less). Parking can be an issue during peak holiday period. Overall other than the insect issue we enjoyed our stay. thank you very much for your review, very sorry about the insects we are trying our best to get on top of the issue but with the weather and been next to restaurant its making it very hard. Noisy and old. Air con was noisy and you could not sleep if it was on. Room was tired, although that normally would not worry me, but the linen had a lot to be desired, with hairs in the beds with stains. Towels were threadbare. Most disgusting was the cockroaches running around the room. I would never recommend this motel to anyone. Needs major overhaul. 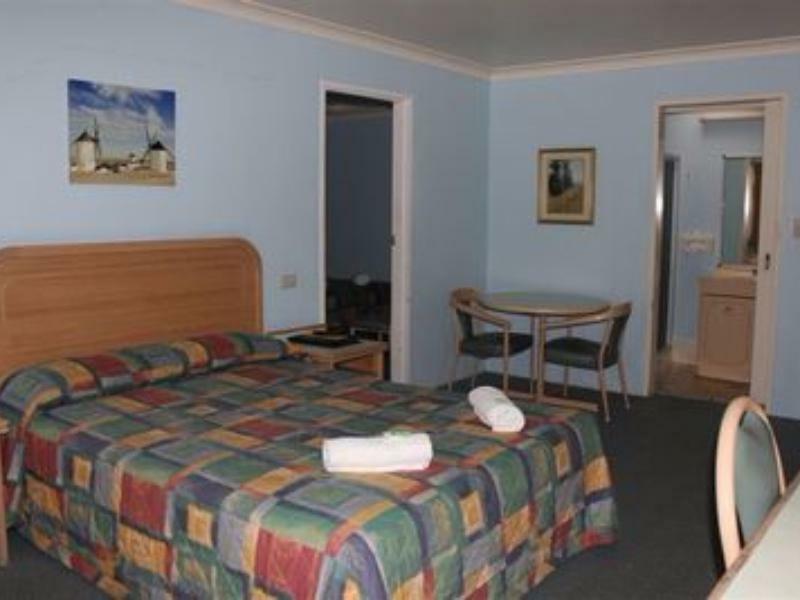 Spacious but old motel. Didn’t run into any problems with the place during our stay. Great for staying overnight before continuing on a road trip. There is bowling and pool nearby for entertainment. Our stay was overall satisfactory, would come again.